We realized today that tomorrow, prices for passports go up. We both already have passports but J never changed her name on hers after we got married. When she got home from work, we gathered all the necessary documents and headed out to the post office in Oshtemo Township. J had been told that was one of the easier places to get passport paperwork done because they take pictures, don’t require an appointment, and don’t take two hours off for lunch. As we were driving down Stadium Drive, J yells out, “There it is!” The post office is very tiny and doesn’t look like a post office. First chance I had, I turned into a parking lot to turn around. As luck would have it, the parking lot I turned in to was a restaurant and the lot was actually connected to a neighboring business and the post office. Before waiting in line at the post office, we decided to grab lunch. The restaurant we happened upon was Ted & Marie’s Colonial Inn. It’s a small, mom and pop diner on Stadium Drive and Parkview in Oshtemo Township. We didn’t know it, but there are actually two entrances to the building, but both lead you to the same dining room. We parked along the side and used the front entrance. Even though it was 1:00, there were still quite a few people eating lunch and even a few eating breakfast. The atmosphere of the place is that of a restaurant where the neighborhood gathers for conversation and coffee. Everyone seemed to know everyone else and the owner was sitting down at tables and having full-on conversations with many of the patrons. We took a seat in a booth and waited for menus. One lady came over with water, silverware and menus, but another lady came back to take our order. The food is what you would expect from a diner. 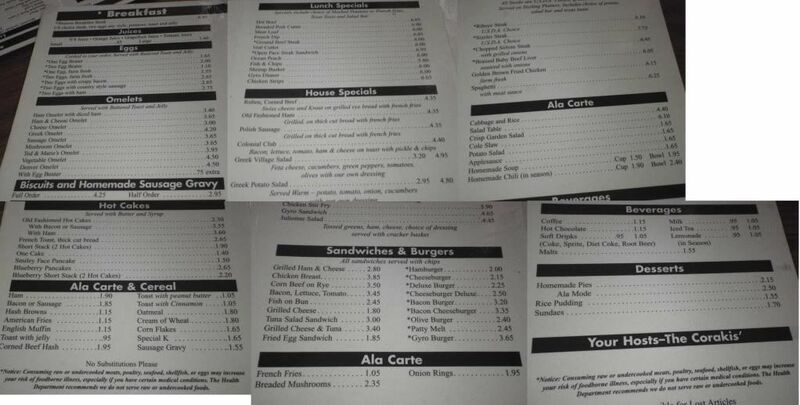 It’s mostly breakfast items, sandwiches, and stuff that can be deep-fried. The thing that isn’t typical is the price. Everything is dirt cheap. I was going to order a bacon cheeseburger, but decided to go with the French Dip instead. The waitress informed me that was a good choice. She said it was delicious. Instead of using a sub bun, they use buttered and grilled Texas Toast and pile on the roast beef between the layers. 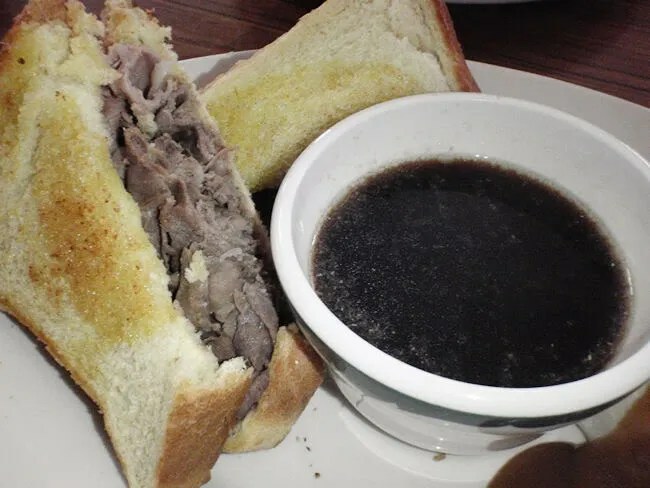 The sandwich comes with a large cup of Au Jus for dipping. I really liked the bread. Normally I would complain about it not being traditional, but the sandwich was almost made like a grilled cheese minus the cheese and add meat. Along with my sandwich I got a tossed salad which J and I split. It was nothing fancy. Just some iceberg lettuce, a slice of tomato and some Italian dressing in a small bowl. I also got choice of potato though I didn’t realize it at the time. I would have chose French Fries, but I didn’t say anything and my sandwich came with mashed potatoes and gravy. I didn’t even try them, but that’s because I don’t like mashers. 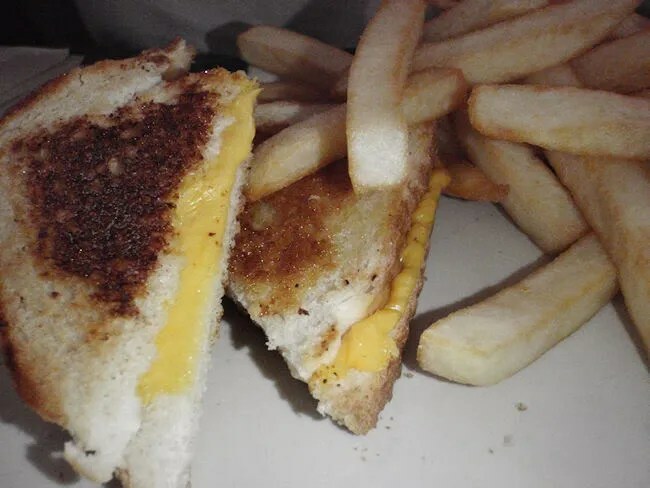 J ordered a grilled cheese sandwich and fries. The sandwich should have came with chips, but she upgraded. The sandwich was nothing special. Just a griddled grilled cheese. The fries were restaurant fries that needed a little more salt. It was solid diner fare, but nothing that is going to jump out at you. Our bill was just a little over ten bucks with drinks. Seriously. J’s grilled cheese was $1.83. My meal, which was one of the more expensive menu options, was just a little over $6. The food at Ted and Marie’s isn’t anything fancy. It’s diner cooking the way you want diner cooking to be. The atmosphere is super friendly and very casual. I don’t know how they do it, but everything was ridiculously cheap and that alone is enough to make the stop in. Try the Greek potato salad. It is worth the trip. Also say hi to Marie. 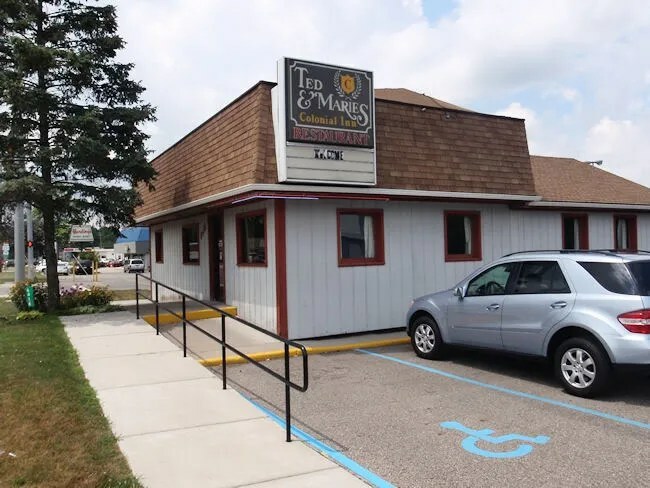 We live much closer to Ted and Marie’s since I wrote this review. I’m sure we’ll be back. Thanks for the tip!